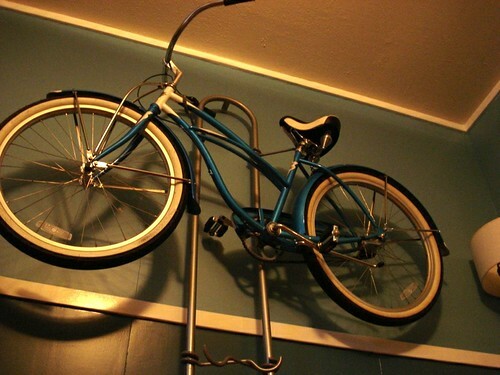 Bike decor: Emily & Kenneth Berg, Shreveport, a photo by trudeau on Flickr. The street-riding members of A Better Shreveport welcome occasional riders and those who care about the future of biking to attend the meeting on Mon, Oct 7, 6 pm to 7 pm, says Loren Demerath. Meeting are held in the Wright Math Bldg located across Woodlawn Street from the Magale Library. "TIME TO PAINT BIKE SHARROWS ON STREETS? Some time ago ABS received permission to paint bike sharrows on streets. We've held back from doing more than we did on a small scale for the tree tour because of our hopes that a bike-ped plan would be soon created, which it wasn't; more recently, we thought it might be worth waiting for the Unified Development Code's completion, but we now the code wouldn't help much for that kind of thing. So, we may be putting off a great opportunity to add significant value to our city right now." La State Exhibit Bldg Musueum, Shreveport, a photo by trudeau on Flickr. 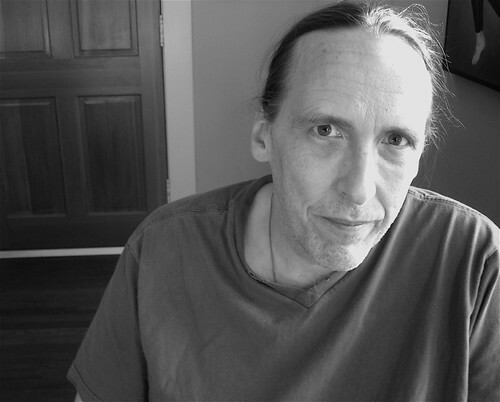 Enjoy the witty writing of book seller and design maven Randy Ross in his recent art column for the 20X29 blog. 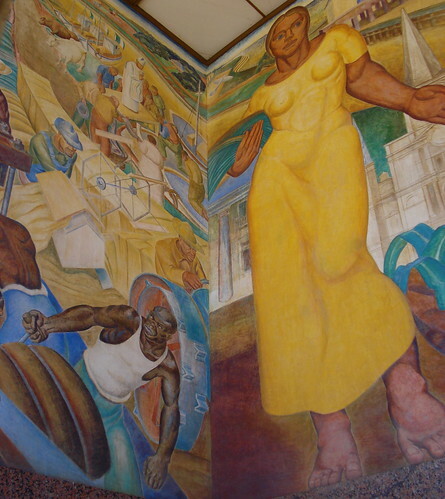 He deepens knowledge of Shreveport's best known murals - like those at the La State Exhibit Museum - and brings a spotlight to less well-known murals - like those in the Commercial National Bank, 333 Texas St.
20X49 blogger Chris Jay is a self-created social scientist. Jay never got over the "why?" and "where?" part of his development. His inquiry-minded attitude toward Shreveport engenders persuasive food writing (check out his championing of Sabores Dominican Restaurant) and special events articles (love his enthusiams for the Cince de Mayo and Let the Good Times Roll fests). And when he publishes the musings of specialists like Ross you can count on more enrichment. 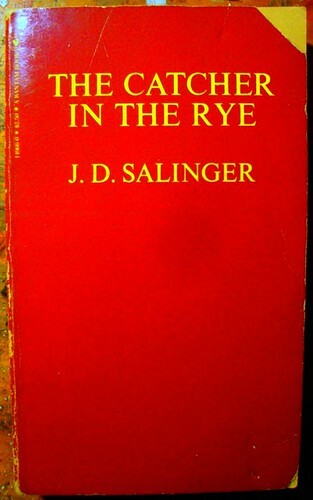 Catcher in the Rye / Salinger, a photo by trudeau on Flickr. Abby Singer's Bistro, Robinson Film Center: the site of cheap drinks and salon talk about Salinger ahead of the 7:30 pm screening of "Salinger," says Alex Kent. "You probably have something better to do," adds Kent. Shreveport Little Theatre’s Lagniappe production of Other Desert Cities, by Jon Robin Baitz, will be directed by Luke Eddy. The play was a finalist for the 2012 Pulitzer Prize for Drama. Cast members are Shawn Dion, Ginger Folmer, Brittainy Williams, Kent Jude Bernard and Kim Price. Set and sound design, Allison Hannon, stage manager, Peggy San Pedro, costumes, David White and Ridley Scott, lighting design, Betty Walker, set design, David Coston, props, and Jonathan Offutt, scenic painter. Only three performances are scheduled: October 4, 5, 2013 at 8 p.m. and October 6, 2013 at 2 p.m. at SLT, 812 Margaret Place. For further information call424-4439 or visit SLT’s box office at 812 Margaret Place, open noon – 4 p.m.weekdays. the dog, a photo by trudeau on Flickr. A mega pet adoption event will take place on Sun, Nov 3, from noon to 5 p.m., on the front lawn of B’nai Zion Temple, 245 Southfield Road, says Susan Gross. Billed as the Adopt-A-Pup Pop-Up Shop, the event will showcase adoptable animals from Animal Welfare Inc., Dixieland Dog Rescue, the Humane Society of Northwest Louisiana, Pet Savers, Two Girls Dog Rescue, Friends of Bossier City Animal Control, Caddo Parish Animal Shelter, and Shreveport Bossier Animal Rescue. Additional groups will be on hand to share information on a host of animal-related issues. Robinson’s Rescue will let the public know about its low-cost spay/neuter services. Shreveport Dog Park Alliance, working to build a park where dogs can romp off-leash, will be present. And so will Colorado Citizens for Canine Welfare, a premiere group in the fight against puppy mills. Several groups whose purpose is to raise money for animal welfare/rescue—the Krewe of Barkus and Meoux, Artists for Rescue, and Rescue Chocolate—will also participate. Organizer Susan Gross said she hopes a lot of potential adopters turn up to greet all the dogs in need of a permanent home. “Shelter dogs make wonderful additions to your family,” she said. Admission to the Pop-Up Shop is free, and families are welcome. If canine family members attend, they must be leashed and picked-up afterwards. https://www.facebook.com/events/596478153718444/, call (318) 617-8162, or email bookisha@gmail.com. FestivalStringQuartet, a photo by press release on Flickr. The St. George's Bossier Masterworks Series will present the Festival String Quartet performing the music of JS Bach and Kermit Poling. 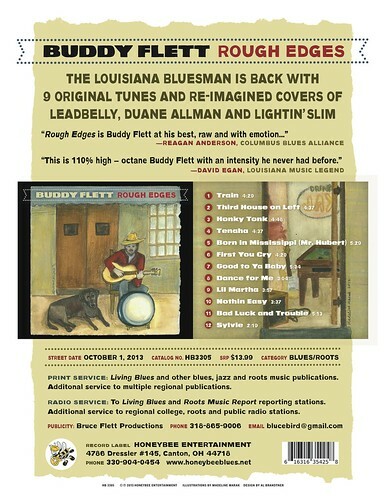 - Sun, Oct 6, at 2 pm at St. George's Episcopal Church, 1959 Airline Drive in Bossier City. 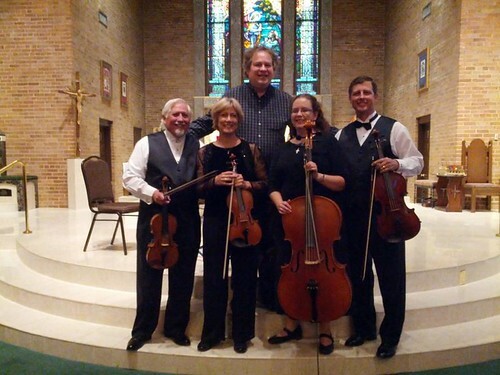 - the Shreveport/Bossier premiere of the 3rd String Quartet - Visions of the Virgin - of Kermit Poling. - Additional works include Jesu, Joy of Man's Desiring and other music by Bach. - The concert is free and open to the public. Donations are welcome. 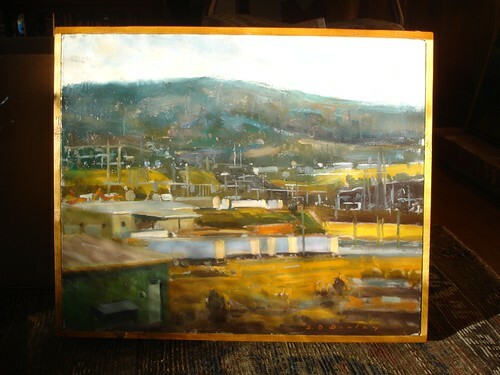 An opportunity to give righteous support to a worthy painter, Tony Reans. Matthew Davidson Band, Shreveport, a photo by trudeau on Flickr. A tortilla-crunchy, beer-muggy institution has closed its doors, says KTBS.com. As of Monday you will search in vain for the brown-sauce tortilla soup at El Chico at Madison Park, 4015 Fern Ave. The long-lived Mexican restaurant closed after Sunday's lunch. The chain's other two restaurants, on Bert Kouns and Greenwood Road, remain open in the peppery Tex-Mex market, says the Tex-Mex-loving staff reporters at Ch 3. El Chico and franchisees operate close to a hundred restaurants in Texas, Oklahoma, Louisiana and throughout the South. night at norton, a photo by trudeau on Flickr. Actors interested in attending the free luncheon at R.W.Norton Art Gallery to learn more about this exciting event, Night at the Museum, Rsvp before November 15. ---and a costume will be made especially for you. 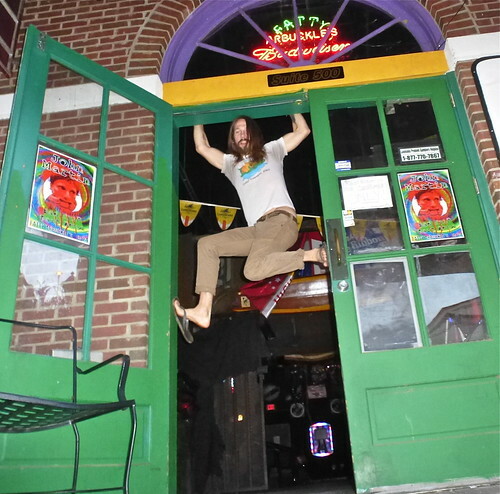 Naked Bean Cafe, 451 Kings Hwy, Shreveport, a photo by trudeau on Flickr. 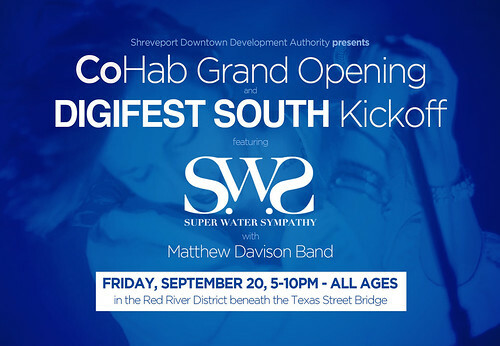 "The center of music in Shreveport is now in Highland," says Kathryn Usher. "Naked Bean has a new neighbor --- Day Old Blues Records. With Naked Bean's commitment to live music programming and DOBR's all around coolness it will be interesting to see how these two businesses grow side by side." "Both are located near the corner of Kings and Highland." Day Old Blues Records open til 5 pm currently, says Rex Gilcrease on FB. 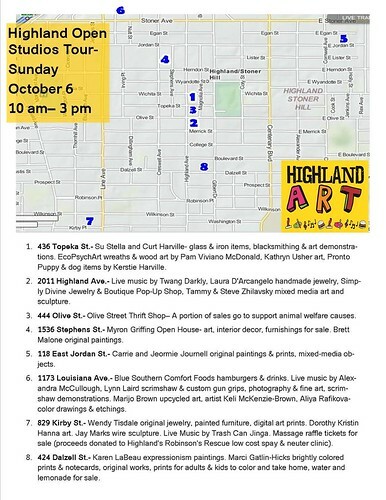 Highland Art Tour map, a photo by trudeau on Flickr. Highland's a party, f'sure. Might I suggest you bring a bit o cash with you and support your friends - and newly-made friends - by purchasing their crafts and art? Merci! Highland Jazz and Blues Benefit, a photo by trudeau on Flickr. 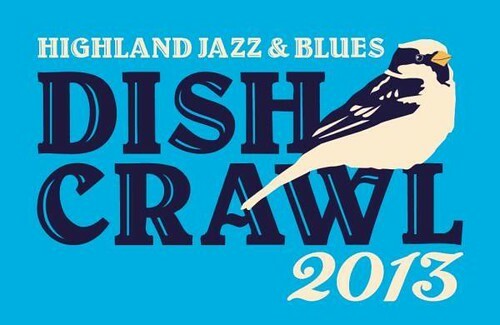 "Join us for Dish Crawl 2013 - a fundraiser for the Highland Jazz & Blues Festival," says Kenney Koonce. Seven of Highland's top restaurants will be on hand with samples. AJ Cascio & The Two Tone Blues Band will perform all evening. Door prizes, too! Raising Cane's - Iced Tea. Tuesday, October 1, 2013, 5:30 pm until 7:30 pm, 1300 block of Louisiana Ave, Sheveport. Your ticket also gets you access to free drink specials and snacks at Twine on Line! Join us in the parking lot of Jacqueline's on Louisiana Ave. - Ticket are only $20! Large cast, classic script by Del Shores: SLT comedy "Daddy's Dyin - Who's Got the Will?" SLT comedy, a photo by trudeau on Flickr. In a small Texas town, siblings reunite as their father lies on his deathbed; it's a southern comedy. Daddy's Dyin' - who's got the will? - written by Del Shores, author of Sordid Lives. Featuring Betty Baker, Jennifer Bush, Tommy Wallace, Sonia Lowe, Heather Bryson, Debbie Posey, Nash Crow, Brad Kozak and Alan Mathison. 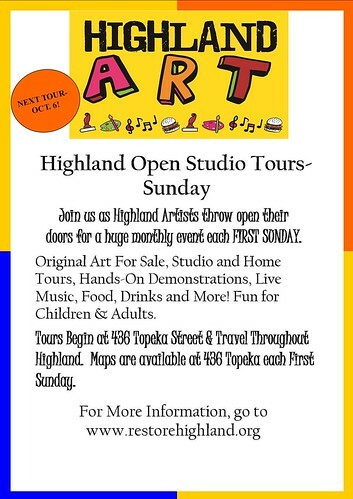 Highland Art Tour, Shreveport, a photo by trudeau on Flickr. 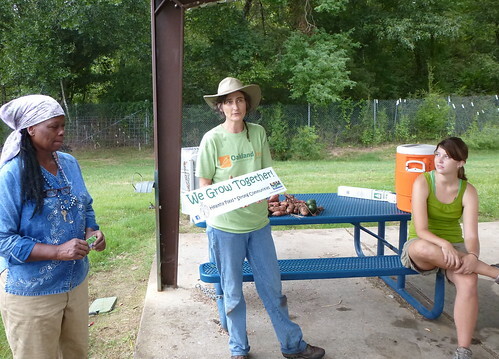 Belinda Coley, Dr Grace Peterson, Stephanie Hansen, Valencia Park Community Garden, Shreveport, a photo by trudeau on Flickr. In partnership with Slow Food chapters across the US, Slow Food North Louisiana is inviting members and friends to come learn more about the mission, says Grace Peterson. Monday, September 23, 5-9 pm: Slow Food Night @ Frank's Pizza Napoletana. Ten percent of the evening's proceeds will be donated to Slow Food North Louisiana, and Slow Food members will be there to answer questions. Sunday, September 29, 4-6 pm: A Fall Potluck Picnic with Slow Food North Louisiana. Gather at the Valencia Youth Garden & Urban Farm to share a meal and meet area farmers. 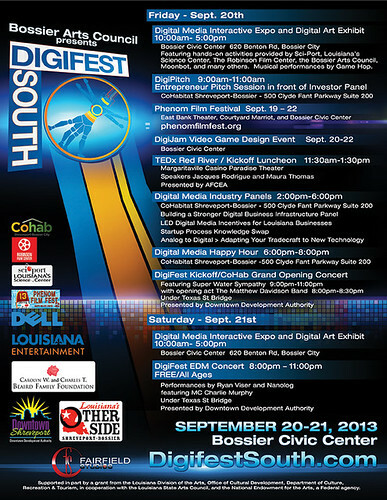 DigiFest 2013 Event Guide, a photo by trudeau on Flickr. Something digital for almost everyone, especially for artists and geeks, might be the DigiFest subtitle. It is packed with worthy and wholesome schtuff and is the sort of brainiac event that you would expect to see in Houston. Deborah Coleman, Shreveport , a photo by trudeau on Flickr. Mutual of Omaha, sponsor of life's aha moments, has announced the finalists in its ad campaign to be released next spring, says marketwatch.com. The campaign, built around the stories of everyday Americans, relies on social media and local media to uncover stories of real people with life-changing aha moments. In the 20 aha moment semi-finalists: Deborah Cookie Coleman started a community garden at the recreation center in Shreveport to bring youth and the community together. During the next two weeks, Mutual and its internal panel of judges will narrow the field to 10 finalists. One inspirational story will be selected through a combination of Mutual of Omaha's panel and online voting, which begins on Sept. 30 at www.ahamoment.com/vote. Jeremiah James, RCRT Cabaret Series, a photo by trudeau on Flickr. 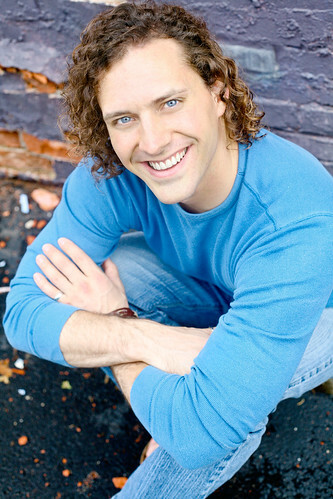 Jeremiah James has arrived in Shreveport-Bossier to play the role of Bo on the River City Rep production of Bus Stop. Meanwhile, he performs an evening of cabaret in a benefit for RCRT. 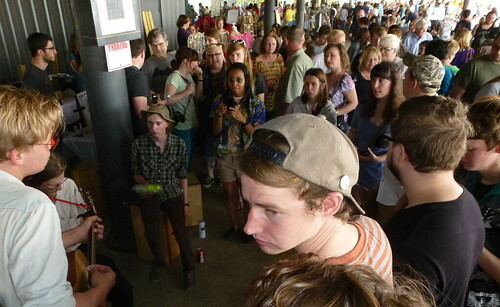 SXSW - NotSXSW 2013, a photo by Kingsnake on Flickr. Kevin Gordon performs at Fairfield Studios, says Vic Phares, Sun, Oct 20, 7 pm. or by calling 318-933-2514 and leaving a message. Maggie Koerner Neutral Ground (Official Music Video) from Eye of the Crow on Vimeo. RCM_20_JenKoh_146, a photo by Robin Mitchell (Glasgow) on Flickr. The Shreveport Symphony’s opening night sparkles with the performance of Avery Fisher Career Grant winner Jennifer Koh, says Michael Butterman. Koh will perform the Violin Concerto of Sibelius. Also featured: Brahms’ Symphony No. 1, perhaps the greatest “first symphony” of all. And the iconic Finlandia, one of the most beloved classical works of all time. - Free ‘Inside the Music’ pre-concert talk starts at 6:30 PM. - Free shuttle service to RiverView Theater starts at 6:30 p.m., picking up at the Regions Bank parking garage at the corner of Milam & Market Streets. Here's where one obtains Tickets! Produced by the Texas Ave Community Assoc (TACA), Makers' Fair registration for the Nov 9 event is no longer open. Says Kelly McSwain, "Woke up this morning to over a hundred registration confirmation emails for the Makers Fair! And it's basically sold out unless you're a food truck or a non-profit group. A new record! Less than 12 hours!" david c williams art, a photo by trudeau on Flickr. Hear artist David C Williams talk on Sat, Sept 14, from 6 p.m. to 8 p.m. Discussion will encircle David’s education, residencies, and travel and how it has shaped his career as a fine artist in today's world economy, says Megan Porter. Heliopolis @ CoHab Shreveport., a photo by trudeau on Flickr. 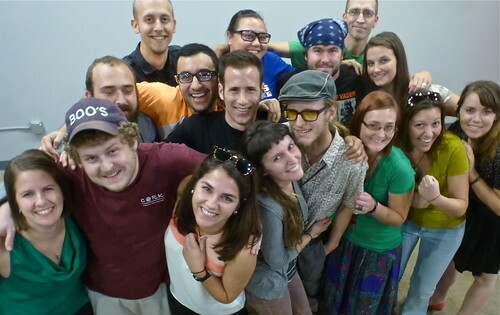 Heliopolis, the name of Henry Miller Shreve's snagboat, will be the name of the publication being produced by former Shreveport Catalyst leaders Karen Wissing and Spencer Teekell. "We hope to finalize the name Heliopolis this week," added Teekell. Volunteers recently converged at CoHab Shreveport to get story assignments and help set the direction for the print publication. "We want to be an alternative source for arts and entertainment news and views," said Teekell. "We will serve a delicious niche between the establishment media and the lunatic fringe." Volunteer writers, editors, designers and photogs should send a brief resume to kewissing@gmail.com or asteekell@gmail.com. Advertisers are welcome to support this effort to bring change and fresh energy to Shreveport-Bossier's print side. 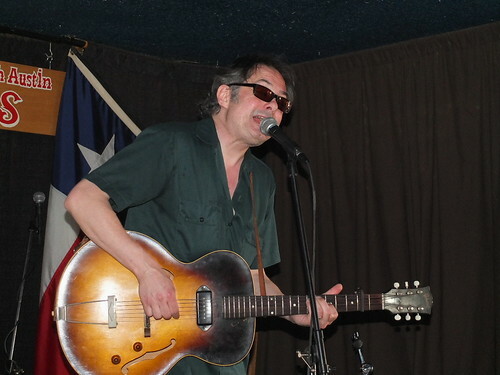 David Brian Dooley, Shreveport, a photo by trudeau on Flickr. The Dooley Noted Benefit is a tribute to the life of musician and visual artist David Brian Dooley, says Blue Lee-Martin. 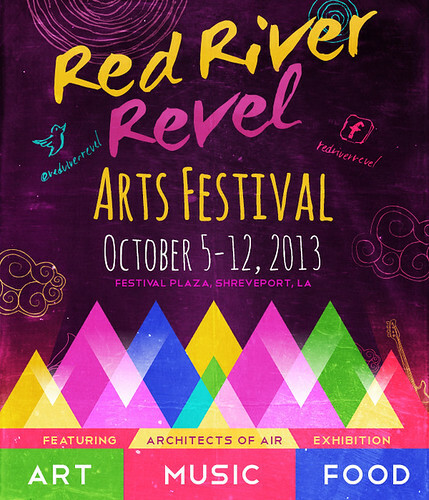 Sun, Oct 6, 2013, 10 AM-7 PM @ 516 Texas St, downtown Shreveport. Doors open at 10 am, scheduled music and highlights begin at noon. 5:15-5:45 Final drawing for Raffles and Silent Auctions. 5:45 Acoustic Jam! Johnny Cash's "We'll Meet Again". No cover, but Big donation jug at the door. Photo by Talbot Hopkins Trudeau. Jeremy @ Fatty's, Shreveport, a photo by trudeau on Flickr. While Fatty's has been the main purveyor of music and spirits in the Red River Entertainment District for some time, that is going to change. Says the district's Catherine Kennedy of the near future, "We're almost totally leased." Have you visited the new CoHab site? Across from Fatty's and once the site of Brother's Seafood in the district, the social networking site has a vibrant new look and numerous cool tenants. Fatty's remains one of the city's hippest bars. Grungy enough to feel like a boite in New Orleans, some of the baddest bands to stop in Shreveport on tour do their honking in Fatty's. While you can check Chase Boytim on FB for the latest music at Fatty's, don't even bother. Trust Chase and Jeremy. Just go. Alternative planning for I-49, a photo by trudeau on Flickr. 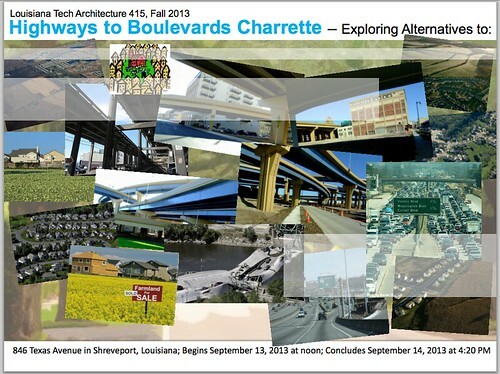 "Architecture students and others will participate in a charrette (intense session) to look at alternatives to the inner city limited access freeway. Please visit the 28 hour event," says planner/architect Kim Mitchell. 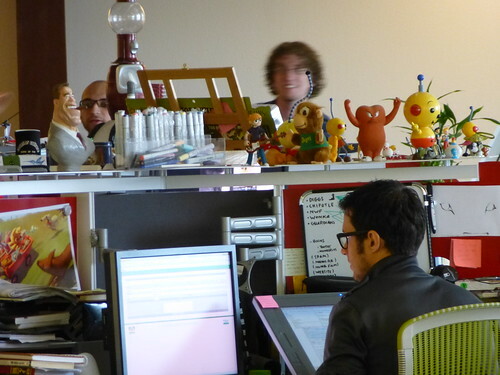 Moonbot Studios, Shreveport, a photo by trudeau on Flickr. "As the short film, The Scarecrow, opens, we see a spindly scarecrow entering the monolithic factory of "Crow Foods Incorporated," where conveyor belts ferry boxes of "100% Beef-ish" and eggs and chicken dubiously labeled "all-natural," says Npr.org. "The soundtrack for this dystopian scene is Fiona Apple crooning the song "Pure Imagination" from the 1971 film classic Willy Wonka and the Chocolate Factory. The dejected scarecrow rides home on the subway, and sees an ad and then a billboard for "farm fresh" Crow Foods "feeding the world" as pernicious robotic crows flutter around. But this scarecrow is a proactive fellow. Rather than eating this shameful food, he goes out to the garden and picks a bright red pepper (subtle, Chipotle). We see him cooking in his small kitchen, and then presto! Our sad little scarecrow has become a happy little street food vendor, selling fresh tacos out of red plastic baskets that look quite a lot like what you'll get at the Mexican chain." Highly recommended for the singularly charming look of a Moonbot product. The Scarcrow is also an app available for free on iPhone and iPad. 09, a photo by Unity of Beaverton on Flickr. 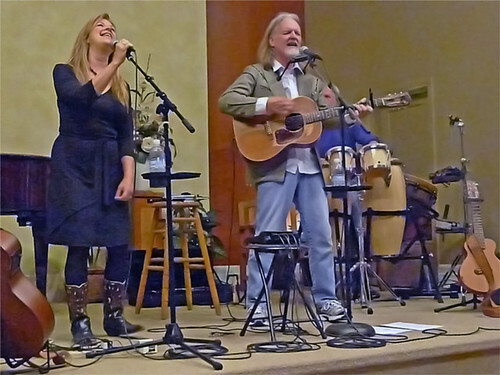 Harmonies and down home music from singers and pickers Adler and Hearne on Sun, Sept 15, 7 pm, says Jim Huckabay. House concert at Fairfield Studios, 1510 Fairfield Ave. They say it's the last one to be held at the Fairfield site. 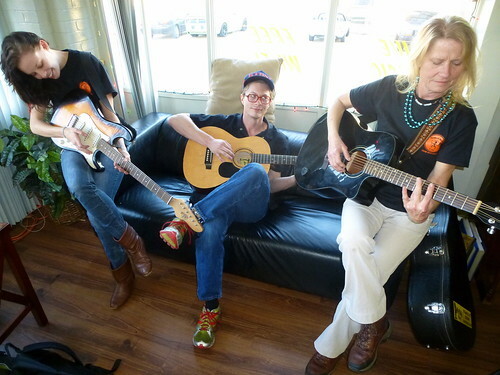 But stand by for more music by the House Concert Series at a site tba. Reservations: Shreveporthouseconcerts.org:reservations@fairfieldstudios.com. 318 933-2514 (Please leave a message). revel, a photo by trudeau on Flickr. "The backbone of our success is the hard work of good people like you," says Kevin Stone, Executive Director of Red River Revel. Community volunteers play an integral role in facilitating the festival for 180,000+ Revelers who attend each year. Volunteers annually contribute tens of thousands of man-hours and help make us one of the top 100 Arts festivals in the country. Individual and corporate team volunteers are needed to fulfill the following areas: Coupon Sales, Admissions, and Beer Sales. The Revel needs over 700 volunteers over the course of the eight-day event. Volunteer shifts are typically 3-4 hours in length and volunteers are welcome to work one or more shifts throughout the week. The Red River Revel considers its Arts Education programs as the #1 reason that the festival will celebrate its 38th anniversary this year. This is largely due to the generosity of thousands of middle and high school students dedicating their time after school and on weekends helping our little Revelers with the many activities in the Children’s Area. Do your students have an artistic side? Sign them up to paint the faces of our younger guests. Students will use a face paint stamp as an outline, than they will fill in with the young Reveler’s color choices. Your students will be assigned to one of four areas where they will assist our Chairmen in conducting various activities in the Children’s Area. Your students may be assigned to Creation Station, where they will assist our young Revelers in completing a hands-on, take home art project; a Mock Geological Dig; Sand Art; or the Brookshire’s Mini Grocery Store. Please remember that all volunteers must be at least 12 years of age to sign up. Service hour forms can be filled out online. Pay once and get in every day with your own Reveler Pass! Ride the FREE Revel Shuttle! A-1 Charter buses depart Mall St. Vincent & Pierre Bossier Mall at the top & bottom of each hour from 10:00 a.m. - close both Saturdays and Sunday, and from 4:00 p.m. - close Thursday & Friday. Return shuttles run on the :15 & :45 until 45 minutes past Revel closing time. Ride the trolley from your office to Festival Plaza for food, art, and music! The trolley makes a continuous loop downtown to pick up Revelers; it stops at Louisiana Tower, SWEPCO, City Hall, and Caddo Parish Courthouse. Make your workday lunch destination Revel 38! 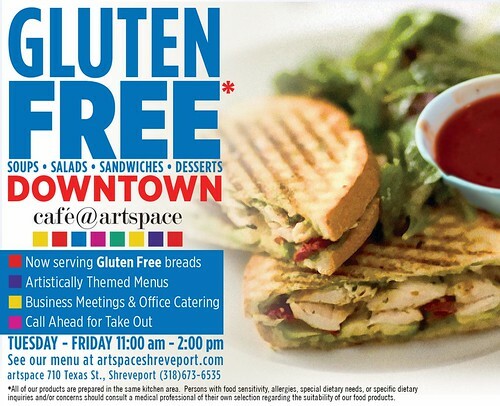 Cafe@Artspace: gluten free, a photo by trudeau on Flickr. Highly recommended center for arts and edibles in historic downtown Shreveport. DigiFest South @ CoHab under the bridge, a photo by trudeau on Flickr. Buddy_v, a photo by trudeau on Flickr. 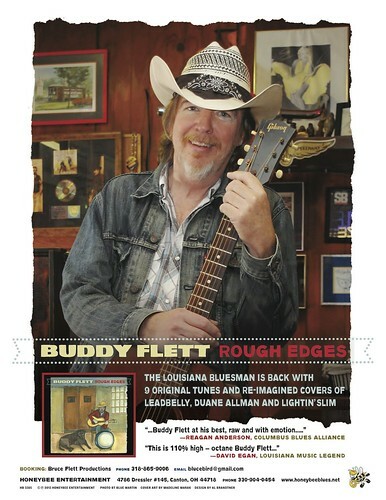 Hear the wailing and quavering voice of blues master Buddy Flett at Bears on Weds, 6 pm to 9 pm, says Bruce Flett. Buddy_v2, a photo by trudeau on Flickr. Oil by David Brian Dooley, Shreveport, a photo by trudeau on Flickr. David Dooley is dead of cancer, says the Friends of David and Jean Dooley site on Facebook. 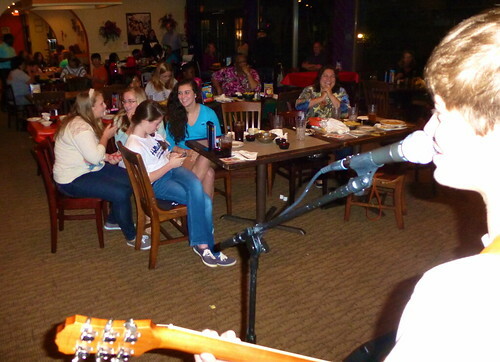 In recent years David had become a popular violinist at jam sessions across Shreveport-Bossier. His dry wit, self-deprecating sense of humor and witty world view stood out in local circles. He was long-winded but was a storyteller who brought detail and insight to his tales. Some who knew him as a man who passionately spoke through his fiddle were surprised to learn that he was also an accomplished painter. Dooley's oil landscapes and portraits were highly professional and characterful. He was economical of brushstroke, but delivered scenes with accuracy and elan. He spent time painting in France and in Virginia and had a wide circle of art friends and patrons across the country. Dooley was devoted to his wife, Jean, but otherwise cared not fig for the conventional standards of success. As a violinist and painter who had touched people on a consistent basis, he was a fulfilled man. A memorial will be held on Wed, Sept. 11 at Holy Cross at 2 pm, says MC Rollo. Caddo Magnet HS student art @ Meadows Museum, Shreveport, a photo by trudeau on Flickr. "Applications are due Oct 1st for high school students wanting to join the Budding Artists Association at Bossier Arts Council, says Robin Jones. Students from Caddo are equally welcome, says Jones. Submit name, address, school, email, phone, current course schedule and signature from a recommending teacher. What are the art fields that you are interested in? Check all that apply. 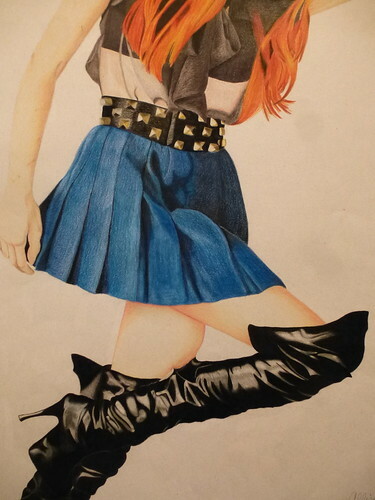 I give my recommendation for this student to be considered for membership in the Bossier Arts Council’s Budding Artists Association for the 2013-2014 academic year. 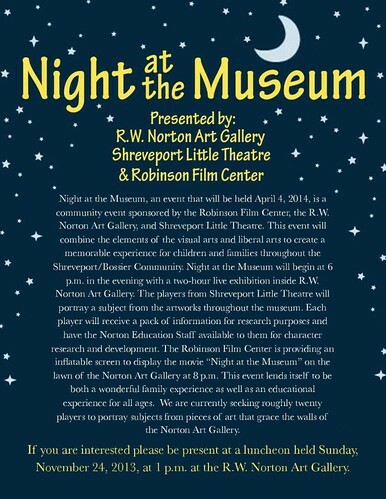 Please submit completed forms to robin@bossierarts.org. Call 318-741-8310 for more information. 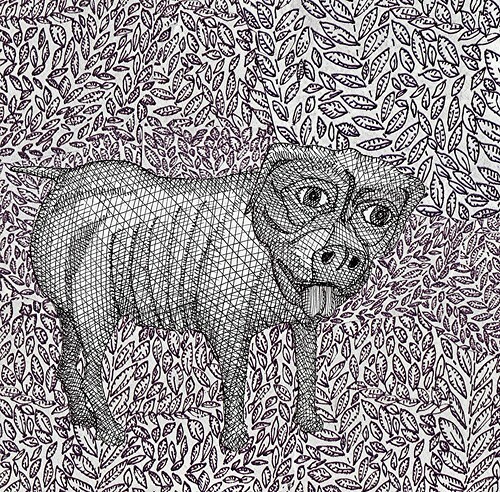 Alan Dyson art, Shreveport, a photo by trudeau on Flickr. Thirty-four North Louisiana artists who work in a variety of media are represented in The Carolyn Querbes Nelson Meadows Museum North Louisiana Artists’ Triennial Competition, says Diane DuFilho. 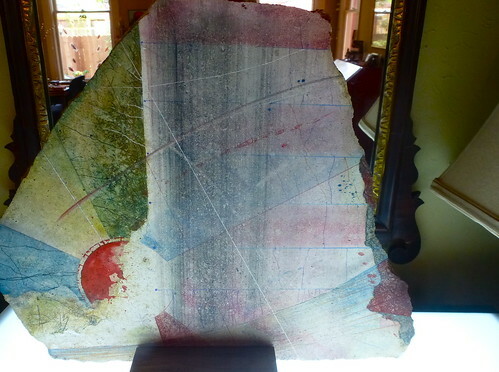 The art was juried by Jolene Flood, owner and director of the Flood Gallery in Asheville, North Carolina. The Flood Gallery is located in the Phil Mechanic Studios building and showcases an ambitious exhibition schedule featuring local artists as well as national and international artists. 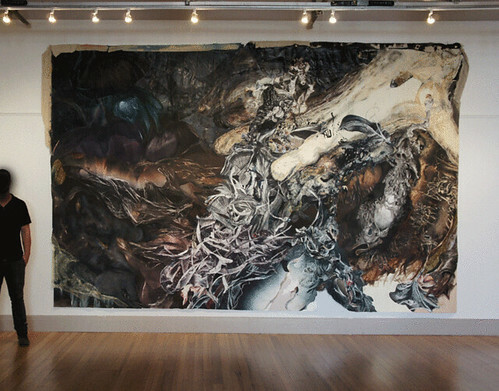 - Reception on Sat, Sept 7, 2013, from 5:30 to 7 pm in the Meadows galleries. RSVP 318-869-5040. - Exhibit opens Sun, Sept 8, at 1 pm. § Celebration of the Golden Anniversary of Civil Rights Movement in Shreveport including a Memorial Service honoring fallen local and national Civil Rights leaders. The historic events of the night of September 22 at Little Union, B. C. led to the events at Booker T. Washington. LOCATION: Little Union Baptist Church, Shreveport 71103, Rev. Clifford McLain, Pastor. § LOCATION: Galilee Baptist Church, 1500 Pierre Avenue, Shreveport 71103, Dr. E. Edward Jones, Pastor. § All area Churches are invited to attend. 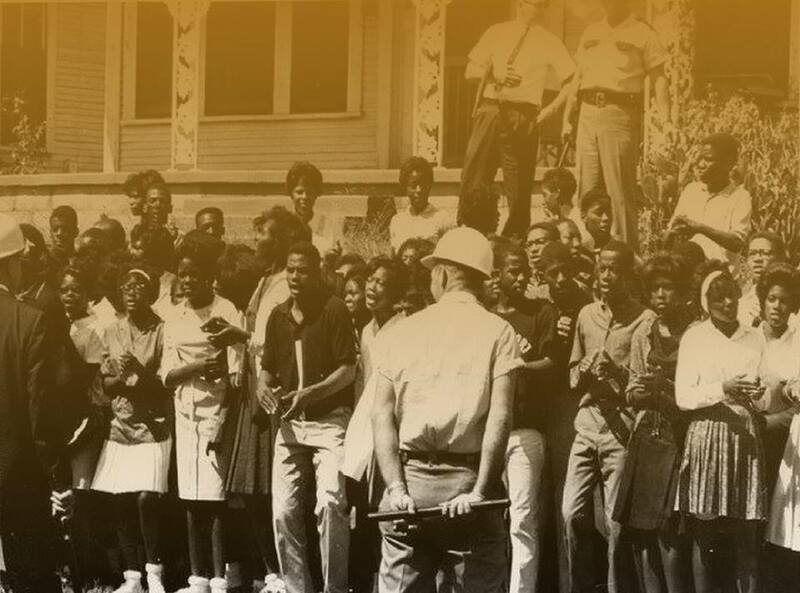 § Student screening of the powerful documentary “Beyond Galilee” highlighting the civil rights events, which occurred in Shreveport, Louisiana in 1963. § Panel discussion and interviews following the screening. 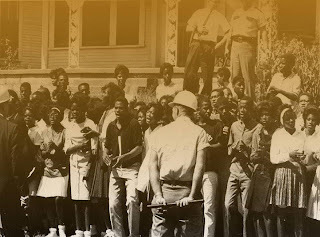 § Route commemorates the historic student protest and march which lead to the mass arrests of Booker T. Washington High School Students. § There will be a special celebration hosted by the BTW Alumni Association immediately after the parade. § Culminating event open to the public. ALL faiths and denominations are welcome to attend. SHREVEPORT, LA — Nobel Peace Laureate, author of acclaimed memoir My Name is Jody Williams, and Principal Spokesperson for the Campaign to Stop Killer Robots, Jody Williams will visit Centenary Monday, September 9, to speak on the new international campaign to ban fully autonomous robots. A book signing of her memoir will follow her presentation. Williams received the Nobel Prize for launching an international campaign against landmines. She is the recipient of fifteen honorary degrees, among other recognitions. Since 2006 she has been chair of the Nobel Women’s Initiative. She was named by Forbes magazine as one of the 100 most powerful women in the world. 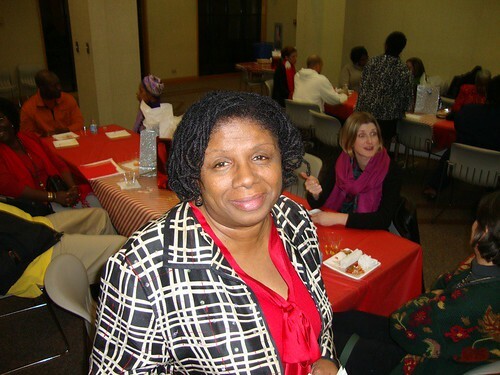 Williams holds the Sam and Cele Keeper Endowed Professorship in Peace and Social Justice at the Graduate College of Social Work at the University of Houston. In 2012-2013, she became the inaugural Jane Addams Distinguished Visiting Fellow in Social Justice at the University of Illinois at Chicago. Centenary's World House for Peace, one of three common residences on campus with a common purpose, is hosting Williams. Williams will meet with faculty, staff, students and several community members later in the afternoon for a more in-depth discussion of the movement. Shreveport Common map, a photo by trudeau on Flickr. 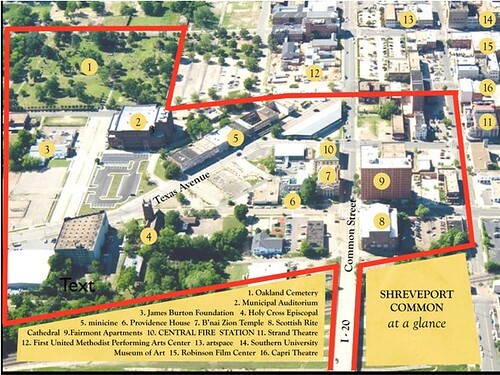 To learn more about plans for Shreveport Common, the 9-block urban arts community in downtown Shreveport, please join artist Brandon Oldenburg for a Shreveport Common Walkabout. The walking tour will take place Tues, Sept 10 from 7- 8:30. It begins at Central ArtStation, 801 Crockett St, says SRAC. 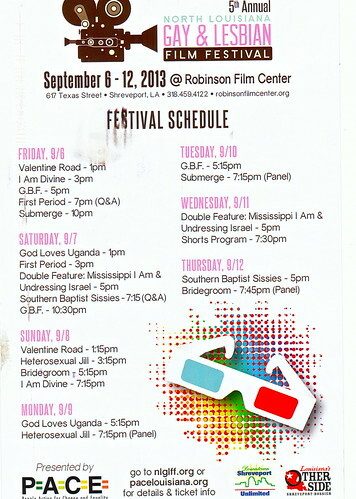 N La Gay & Lesbian Film Fest calendar, Sept 6 - 12, 2013, a photo by trudeau on Flickr. “First Period” opens the fifth annual Gay and Lesbian Film Fest on Fri, Sept 6, 7 pm, says Adrienne Critcher. The site is Robinson Film Center. Beene was pleasantly surprised to find that there’s a gay & lesbian film festival in his hometown. The film’s director, Charlie Vaughn, will also be here for the Q & A. Vaughn has already won a “Best Director” for “First Period” at the L.A. comedy film festival Quirkfest. "We’re very excited about this year’s festival," says Brad Campbell: "11 feature films and an evening of shorts!"